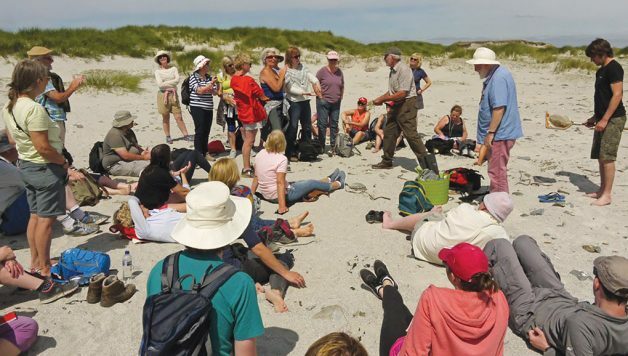 The founders of Ireland’s longest-running summer school have decided that it is time to ‘hang up the boots’, and hand over the project to a new team. Clare O’Toole and Leo Hallissey set up the Inishbofin summer school in 1984 with fellow teacher, the late Aingial Ní Chonaola. The annual summer school concert, which raises money for young people’s projects in art and music, was held as usual in Murrays Hotel. The occasion was used by the local community to give a special thanks to Leo and Clare. Simon Murray, Manager of Inishbofin Development Company, was generous in his praise for the school, outlining the important and sustained contribution it has made to the Island over 34 years. Simon, on behalf of the community, presented Leo and Clare with some lovely art pieces, lots of cards, and the well wishes of young and old – and of course, a generous ‘few bob’. 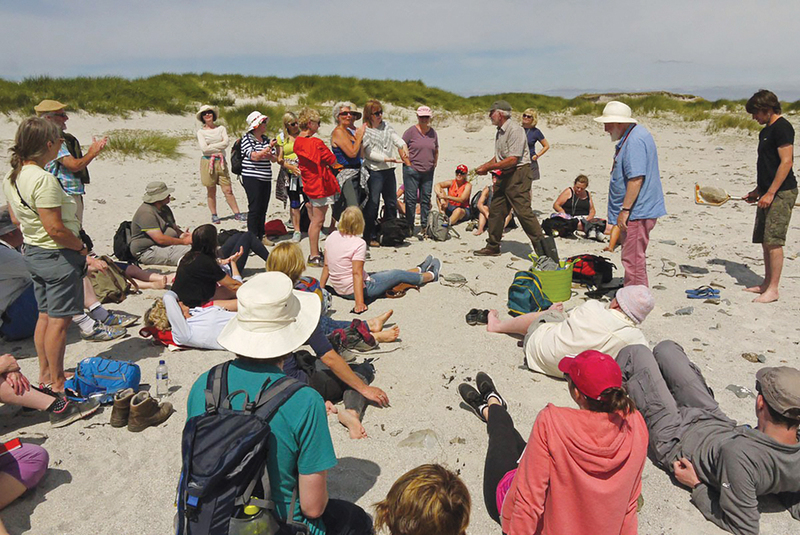 The Inishbofin Summer School will, we hope, survive for many years to come; and with its 99% satisfaction rating, will continue to make a meaningful contribution to island life and highlight the importance of islands like Inishbofin to our National Heritage.